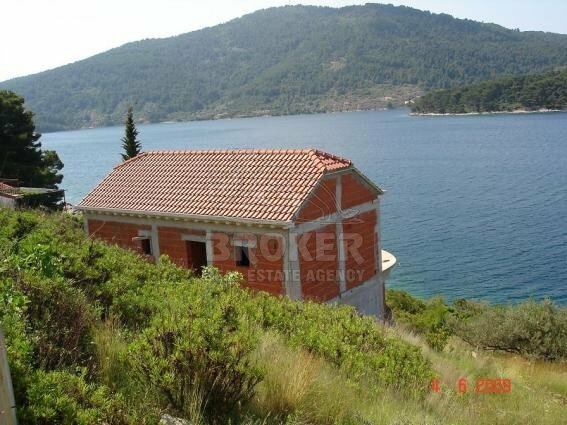 Extensive description: The house situated in the 1st row to the sea, in a beautiful bay on the south-west part of the island of Korcula, 5 km from Vela Luka. 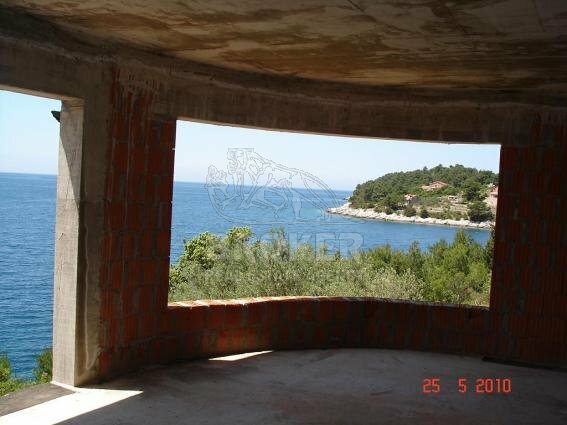 The house is under construction and is of the surface of 196 sq m. It consists of 2 storeys and a large terrace with a beautiful view of the sea and the island of Osjak. 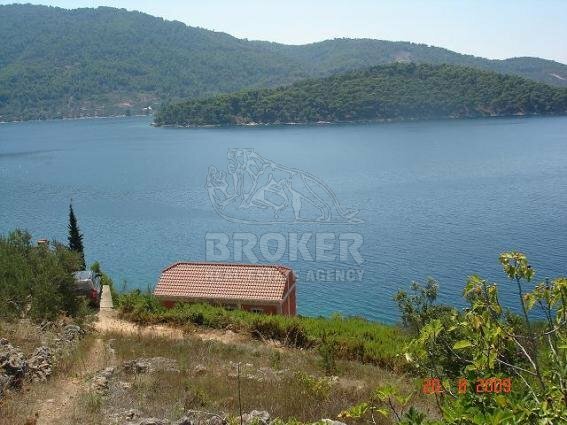 In front of the house is a rocky beach and a clear blue sea with plenty of fish. On the ground floor there is a large living room with a kitchen, a pantry, a bedroom and a bathroom. 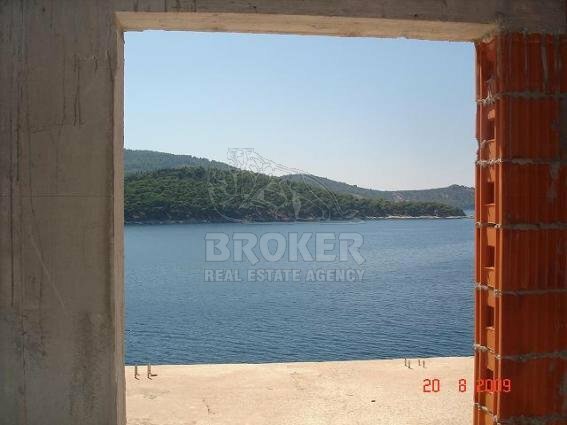 On the 1st floor there are 3 bedrooms and 2 bathrooms. All the rooms have the exit to the terrace with a great sea-view. The house has a water tank with the capacity of 9 wagons. The owner has built the house for himself, according all the standards and using top quality materials. 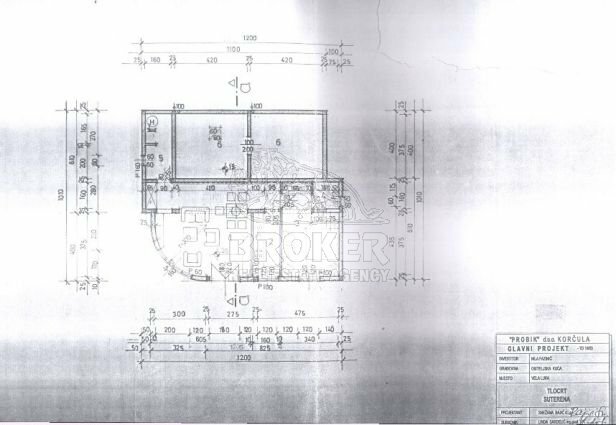 The house plot is of the surface of 1000 sq m, facing south. If you are looking for peace and beautiful nature, this is a place for you. There is a large new access road leading to the bay, but in the bay there is still a macadam road leading to the house. 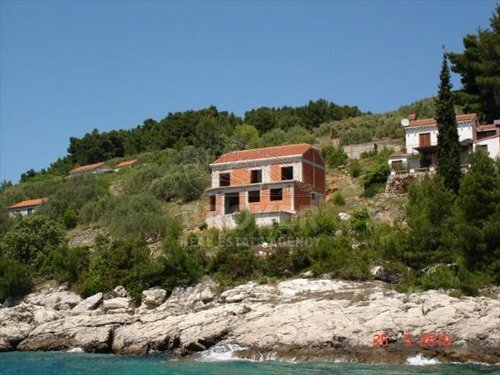 Vela Luka is a fishermen village that has been increasingly turning to tourism. There are many shops, 3 hotels, a large health facility within which there is the black mud spa.